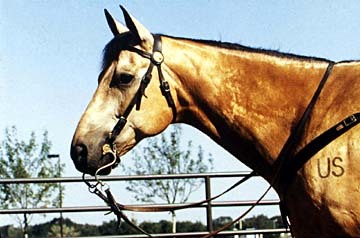 Plain Justin Bar is the horse of American Quarter Horse breed that was used in the film: "Dances with Wolves" (1991), starring Kevin Costner. 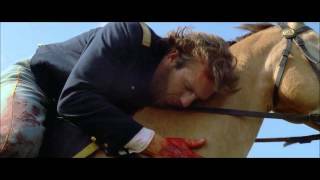 In the film, the horse is named Cisco. The owners of this horse call him "Justin". He is the son of the stallion named Impressive Dan and the mare Plain Pearl Bar. He received the award Silver Spur, and is considered one of the best horses of his breed by AQHA. Currently he lives in Redstone Farm in Pilot Point, Texas. 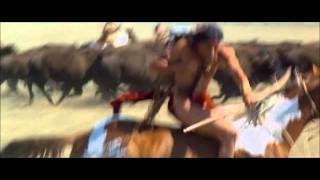 In the following videos you can see several scenes from the movie "Dancing with Wolves", where Plain Justin Bar appears as John Dunbar's horse. If you have any questions about the information contained in this site or you want to contribute with something else, you can do it through this Suggestions Box. Remember to include your full email if you want a reply. Thanks for helping me.